If you relish your days as a "tourist covered in oil" and smelling shrimp boil, get ready, because the retirement of your dreams awaits. 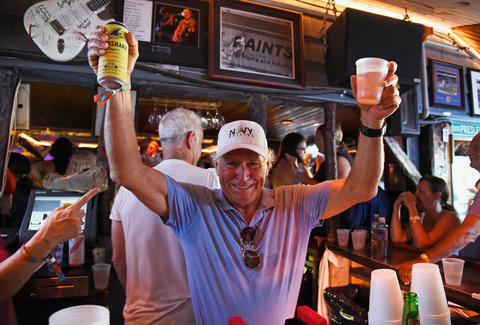 Jimmy Buffett, major domo of song, drink, and Parrotheads, is ready to make your autumnal years the most relaxing of your life, with a retirement community called Latitude Margaritaville. It's no joke. The legendary easygoer and soft rocker has partnered with Minto Communities, a housing and development firm based in Florida, to create a set of homes made for those of us aged "55 or better" and rigorously dedicated to doling out margaritas and chill vibes. The first one will open in Daytona, Florida, complete with beachfront access, live entertainment, lap pools, spas and more according to ABC News. "It's going to be a very fun place," says Bill Bullock, senior vice president of Minto Communities. "We expect our first residents to be living in the community by late summer of 2018." That relaxation won't come cheap, however. The 7,000 homes being built will reportedly cost $1 billion in total, with individual 2- and 3-bedroom homes in the community going for between "the very low $200,000s to $350,000." But if you've got the money, why worry anyway? Once Margaritaville opens up and you've got your spot, your literal job then becomes to kick back all day, every day and ask yourself -- with the studied conviction of a Buddhist monk -- "What would Jimmy Buffett do?" Answer: Pour yourself something tall and strong. Take a lunch break that takes all afternoon. No word on if it's always 5 o'clock in Margaritaville, or if happy hour comes before Matlock reruns.